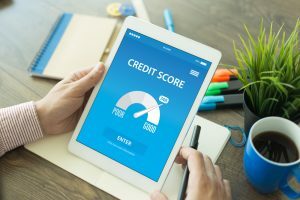 You need to stay aware of where your credit stands to help you to stay on top of your future goals such as buying a home or getting a new car. It used to mean that you had to go through larger companies like Equifax to see where you stand. However, today, many companies offer constant credit monitoring which gives you an accurate number on a day to day basis. Staying on top of your credit means warding off fraud and erroneous accounts. Remember, the faster that you act when fraud is spotted… the easier it will be to get your credit back on track ASAP. For every day that you are late on an active account, it negatively effects your credit. It does not matter if you are talking about a large mortgage payment or a small credit card… the same rules apply. Current does not in any way mean being only 30 or 60 days late. It means being completely current. Basically, your credit is at least in part judged by the numbers of late days you accumulate over the course of 30,60,90 and 120 days. Most people know that timely payments are essential to maintaining great credit over the year, however, a lot of people do not know that paying down your credit card in larger amounts can make a big difference in your credit too. For example, if your credit balance is too high, your credit will not be as rock solid as you expected it to be if you ran by a creditor to, for instance, buy a piece of real estate. Setting aside extra money when you have it to pay down cards quicker can help to ensure that your credit not only stays impeccable but also improves if its not. The second that you spot an account or a charge that is not your own, you need to get it dealt with ASAP. The more erroneous accounts that you have, the worst off your credit score will be and the longer you do not know about it… it will be harder to explain away these accounts as something you did not charge yourself. So be sure to keep up with your accounts and charges with great diligence. This will pay off for you in the long run. A couple of credit score pulls will not affect your credit… but if you start checking it a dozen times in a 30 day span then your score will be headed south fast. If you must get a credit card, don’t apply to many different places. Do it one at a time… this way your credit is not being constantly ran. Besides, you could get the first card that you apply for and you could have saved yourself several credit points by simply being patient. Your credit score will be with you for life. Take care of it and it will take care of you.